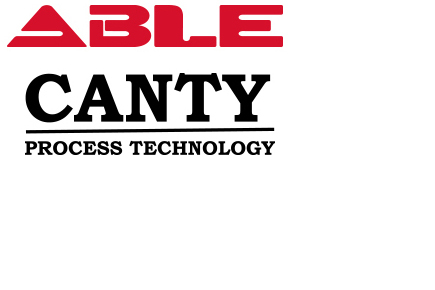 ABLE Instruments & Controls Ltd are pleased to announce the signing of a long term agreement with JM Canty International Ltd as their exclusive representative for the United Kingdom. This relationship facilitates the integration of the market leading Canty Process Technology product range into ABLEs existing portfolio of process and analytical instrumentation and partners the extensive application knowledge of both companies, resulting in the optimum solution and support being offered to our customers. JM Canty International Ltd was incorporated in the state of New York in January 1977. The company has continued to expand into different markets and products from their initial development of hyperbaric chamber lighting and currently is a world leader in the manufacture and supply of vision based process instrumentation. This includes vessel sight glasses & lighting, process vessel and high temperature cameras, and vision based particle sizing equipment, for a wide variety of industries, including oil & gas, pharmaceutical, chemical. ABLE Instruments & Controls Ltd are an established supplier of process and analytical instrumentation solutions since 1985, with significant experience of supply to the oil & gas, petrochemical, chemical, pharmaceutical and manufacturing sectors, including major EPC Projects. ABLEs applications experience, project management infrastructure, engineering knowledge and systems integration capabilities will provide enhanced levels of performance in the execution of equipment supply and support to best serve new and existing Canty customers within the UK.